Barbie is frustrating because while she has the ability to hang with most any one bar for bar, often she echews that for gimmicks and noises. The younger generation may respect or like that more but I want to hear her go in with the lyrics and silence any lingering doubts. It's also worth noting that being commercial does not mean being wack so it can be done, and she just needs to do it. Lupe has always confounded me a little bit with his concepts and style. However, lately he has managed to blend his ideas with being able to be real and accessible to the regular listener. It's tough to blend those and keep your own flavor, but on his latest album, Lupe manages to get it done without too much of an issue. Common is always a beast when he decides to drop some music. His style and use of simple language to paint his pictures is magnificent. The way he blends his jazz style musical backdrops with pertinent raps is nothing short of top-notch. He also went after Drake and reminded everyone he wasn't just the peaceful guy from the movies and there was a guy you don't want to play with. 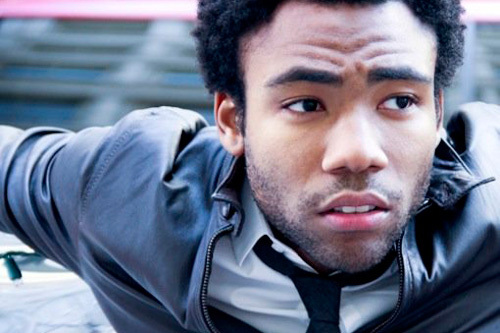 I'll admit, though I liked some of the songs, I wasn't totally sold on Donald Glover's alter ego Childish Gambino. However, Bonfire grew on me with the energy and lyrics and punchlines almost on par with a Lil wayne, only more connected. Then he dropped Camp and I was sold. It did decent for an independent album and he followed it with a tour and more bars including his latest mix tape, "Royalty" which wasn't as deep but managed to have him showcase the more southern part of his heritage. So Nasty Nas finally re-emerged this year with his Life Is Good album which was near classic material. He also featured on some other projects and showed why in the early 90's he was considered one of the best to do it. To be able to still have this kind of impact 20 years later is an incredible feat. To take a break and still come back with an impact is an even bigger one. Whether it was talking about his growth from being in the hood, his parenting skills or lack thereof, and his marriage to Kelis, Nas showed an ability to expand to new subject matter yet still keep it hood. So this year I had a conundrum. The past few years I have chosen a member of the Slaughterhouse gang in the top five at least once and several times two of them have made the cut as standouts. (you can see where this is heading), they have been consistent with each member standing out at some point since they united. This year, Crooked I stepped up and really shined, but the other three members all represented as well so I could have had them all listed and one spot left, but instead they have to share the award this year as in total each of them is pretty much better than anyone else who put words to mic this year.